Meghan McGuire's ready to put her military career behind her and start her dream job helping troubled children—until a man from her past reappears. Tate Walker is supposed to be dead. But now he's standing on her doorstep, telling her she's in danger. Tate never thought he'd see Meghan again...and certainly not as the target of the hacker he's trying to bust. With both of their lives in danger, they have to work together to hunt down the criminal. But when Tate learns about the past Meghan's been hiding, he's not sure if she's still the woman he once loved. Or if he can trust her with his survival—and his heart. 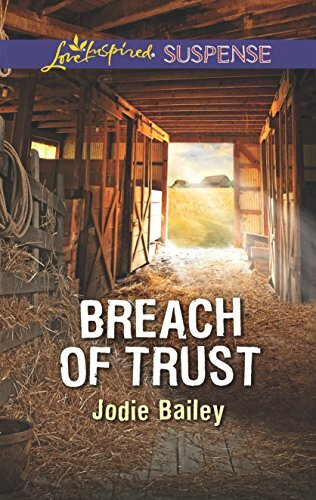 Jodie Bailey is an avid reader and a life-long writer. When not tapping at the keyboard, she teaches middle schoolers how to love the written word and follows her Army husband around the country. Jodie is a member of American Christian Fiction Writers and Middle Tennessee Christian Writers. She lives in North Carolina with her husband and daughter.